Dark lips is growing in me, and it feels pretty good knowing that I've slowly come out of my safe zone. 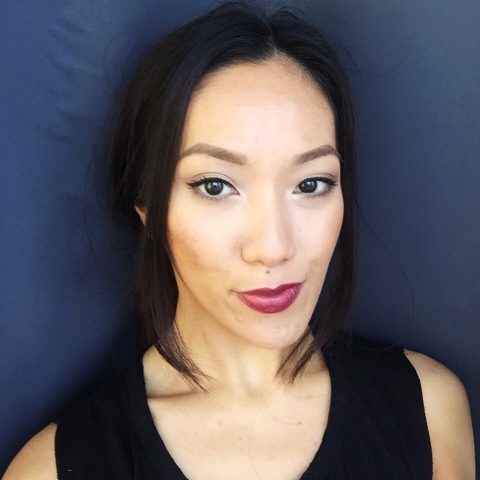 MAC Cosmetics has the best range of lipsticks and there is definitely color for everyone! I myself have been obsessing over dark berry shades, brick reds, and browns / mauve. It suits my skin tone the best and it makes my teeth appear whiter. Another discovery I made from my makeup drawers! 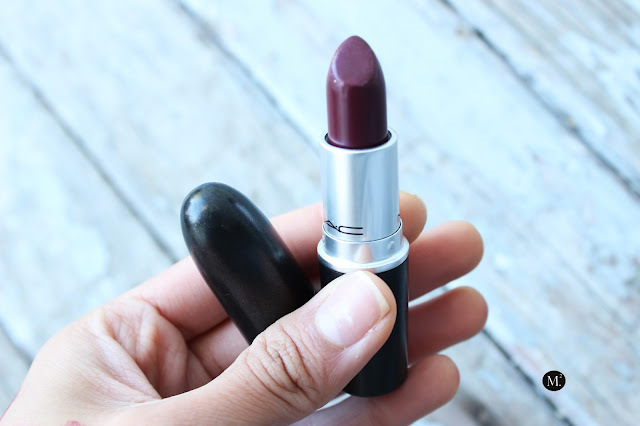 A MAC lipstick in the shade Hang-Up. This lipstick was still intact in it packaging unopened and untouched. I could not even remember when I purchased this product (probably last year?). Anyway, I have been looking for another dark lipstick I can wear this winter and thank goodness for me cleaning up! If you can remember from last year, Cyber was the most hyped lipstick from MAC and I feel like everybody was including Cyber in every favorites, tutorials, what not. Personally, I did not fall into the hype because I feel like it is one tricky shade to pull off and is only suitable on certain skin tones. Back to Hang-up! Looking at the shade straight from the tube gives off that maroon vibe, which I find a bit misleading. 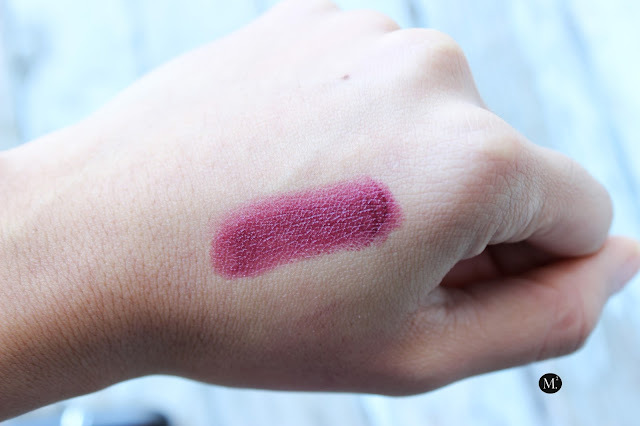 When I swatched it on my hand, it gave a totally different shade which is more of a dark plum shade. Definitely something to consider when purchasing a dark lipstick! 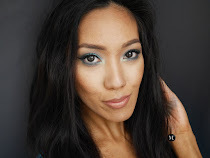 Nevertheless, it wears comfortably on the lips just like any other MAC lipstick and the formula is creamesheen which means rich in pigment but creamy and moisturizing. It can easily slip and slide / smudge around the mouth area so a lipliner is highly recommended! For that, I like to use Jordana lipliner in Mahogany. I test drove the lipstick for 2 days with roughly 8 hours of wear, and it faded gradually and evenly, leaving a flattering stain on the lips (that includes eating, drinking, talking). I do love this lipstick shade. It is something different from any other lipsticks I own. I also love the fact that it can test my creativity on ways to wear it!